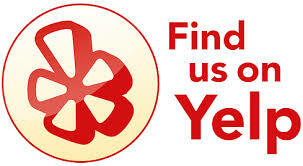 We are a 35yr trusted,local, service experience company serving San Diego County since 1980 with residential,commercial and property management services. 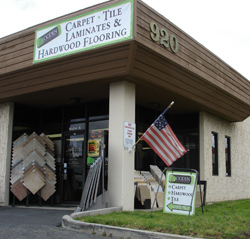 We provide to our customers: project consultations,material education, sales & installations of hardwoods-carpeting-tile-laminates- granite and stone. All of our licensed,very experienced sub contractors for all of our installations, are long term, trusted relationships, so that as a home owner you can count on and trust them. We are substrate preparation and substrate relative humidity(RH) gauging experts for all direct glue down installations,this type of expertise at Ogden Flooring keeps your manufacturers warranties valid if a future problem should occur,securing your investment in your home. We also sell, fabricate and install Granite, Caesarstone and Silestone slabs along with beautiful custom bathroom shower installs and back splashes. Professional wood refinishing with wood and tile repairs are also available along with base board and crown moulding, hanging, caulking and installation. 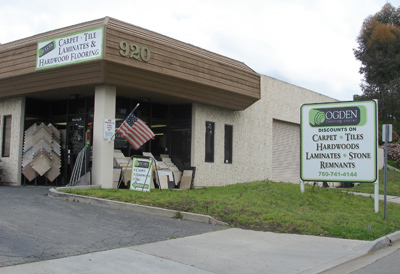 Along with two owners that have more than 50 years of hands-on flooring experience, expertise, sales and design you can be assured that your job will be handled with care and professionalism. 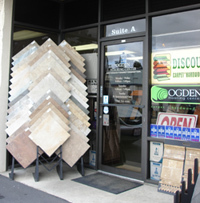 The Ogden Flooring Center also offers security and quality of your purchase with our in-house installation company, Hot Shots and our professional experienced staff Ogden Flooring Center professionals will help you chose the best variety of carpeting materials for your residential, commercial and property management needs. Royalty, Camelot, Mohawk, Stainmaster Xtra Life 6.6, Dupont Smartstran, Invista, lotusFX, Luxerell Fiber, Tactesse Fiber, Mannington, Garrison, Br-111, Urban Floor, Appalachian, Vergina Vintage, Bruce, Anderson, Junckers, Natures Beauty, Naturally Aged, Kahrs, Pacific Rim Bamboo, Catalina, Mirage, American Tradition, Glacier Peak, Mullican, Premier, Carlton, Qu-Cork, Wicander Cork, Oasis, Millstone, Elegance, Clear Lake Living, Horizon, Aladdin, Wundaweve, New Generation, Shaw, Beaulieu, Pacific Moods, Carefree, Private Reserve, Holly Tex, Az Rock, Rurke, Saltillos Tiles, Arizona, Dal Tile, Queen, Coronet, Armstrong, Amtico, Eker, Kraus, J.H.Freed and Sons, Faus, Indoor, Outdoor, Burke Mercer, Flexco, Linco, Rope, Icore,BHK, Ottimo, Sun Tile, Inter Cermic, Bedrosian, Mark Windows, Grabber Windows, Skandia Windows, Moldings, Baseboard, Tom Duffy, and Galleher.